Dr Rebecca Reeve joined the Centre for Social Impact (CSI) as a Senior Research Fellow in January 2015. She is passionate about using her skills as an economist and econometrician to improve social outcomes. Rebecca’s research focusses on vulnerable populations including Indigenous Australians, people at the end of life, people with dementia, people with drug and alcohol problems and vulnerable children. Her work has been published in peer reviewed journals, reports, The Conversation and the mainstream media. 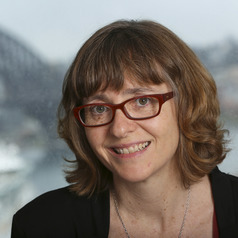 Rebecca was previously employed at the Centre for Health Economics Research and Evaluation (CHERE), UTS, where she was Program Manager of the centre’s policy evaluation program of research and taught in the postgraduate unit “Introductory Health Economics”. She has an Honours degree in economics from Macquarie University (2004) and a PhD in economics from Macquarie University (2010).